In Naples, Florida, lived Lori Beaupre and her beloved dog Charlie. For ten years they were inseparable, that is until March 2016. That’s when she gave Charlie a Real Ham Bone, made by a company called Dynamic Pet Products. Twenty four hours after giving him the bone, he was lethargic and vomiting. Beaupre rushed Charlie to the pet emergency room. After taking x-rays, the veterinarian made a horrific discovery, there were pieces of bone stuck in his intestines. Even after paying $2,600 to have emergency surgery to remove the bone pieces, Charlie died. It took less than 48 hours for him to go from a healthy playful dog to being in excruciating pain and succumbing to his injuries. A quick internet search reveals many other dogs who either fell very ill or died from consuming the real ham bone. There are a myriad of complaints with the BBB, so much so that they issued a warning regarding it. As Beaupre did more research, she found that Dynamic Pet Products is engaged in a class action lawsuit, there are multiple facebook groups full of angry consumers and a petition to remove the product from the market (though the petition appears to have been closed). If you have any issues or problems with pet treats, you should file a complaint on the FDA’s website. As of this blog post, Dynamic Pet has pulled the product from it’s website and Wal-Mart Stores has removed the product as well. 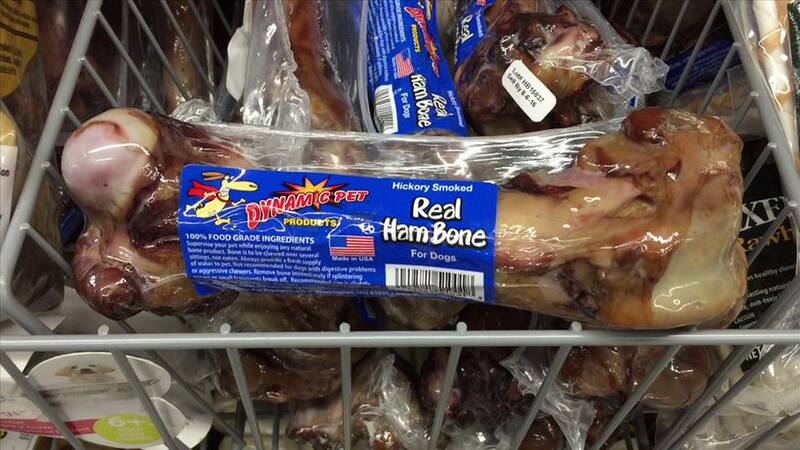 Do you have any experience with the real ham bone or any other pet treats that were known to be harmful? Comment below and don’t forget to share! ← This Virus Is Making Dogs Sick Across The United States. Is Yours Next?